GoDigitalScrapbooking.com is currently in the midst of a Supreme Team Contest. I entered and we will see what God has in store. 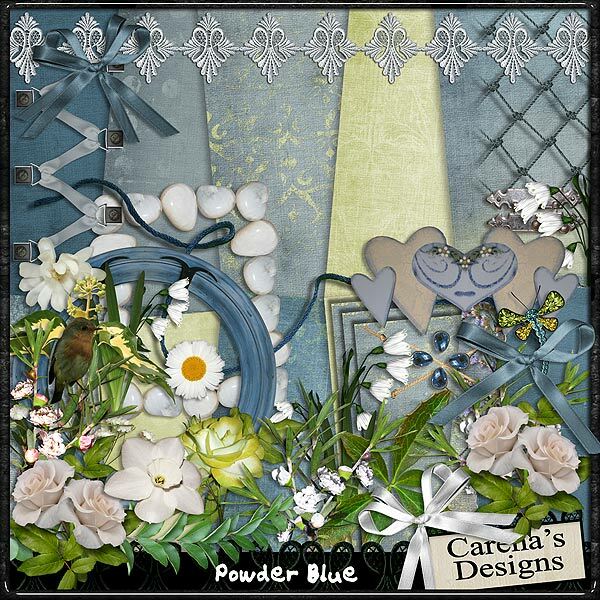 This is the kit I will be basing a layout off of, it is absolutely beautiful and made by Carena’s Designs. I have seen a lot of different places issuing CT (Creative Team) calls as well. Strawberry Designs, Stuff to Scrap, and I’m can’t recall how many others I found during my first blog train visit. Choo…Choo! A part of me really wants to apply. But there is the cautious part of me trying not to overextend myself especially in this time of uncertainty. I know God is there working out all the details. You know being the behind the scenes caretaker of all the details you usually don’t want to see or care to think about on a second by second, minute by minute or day by day basis. Of course there are times that things feel so out of control that you just want to take control of any piece that you can. That’s when I want to see those details, to know things are still moving forward. I’m praying that as I feel moved to work with the scrapbooking side of me, something will come out of this. Perhaps it will be just an understanding of the blessings I have right now. Perhaps it will be a way to support my family through something I love. Perhaps I won’t understand for many years to come. We will see. As soon as I post my layout on GoDigitalScrapbooking.com, I’ll post it here for you to see as well!